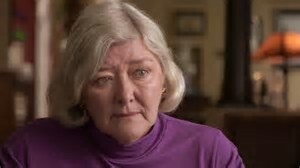 Former Congresswoman Pat Schroeder (above) is joining Steve and Lew this week to talk about the addition of a question about citizenship on the 2020 Census. She will explain what does that question mean to the accuracy of the count and why does it matter that the count is as true as possible. During her 24-year career representing Colorado in the US House of Representatives, Congresswoman Schroeder chaired the Committee that oversaw the Census Bureau. As a pioneering woman legislator, she will also talk about the upcoming 2018 mid-term elections called by some the year for the woman because of the record numbers of women who are running for offices in local, state, and federal government. Later, in a taped interview, investigative reporter Greg Palast will reveal that the tricks played by Cambridge Analytica, the data-mining company hired by the Trump campaign, were nothing new and that they are not the only company that provides that kind of service.